He'll be a national political reporter covering Donald Trump and Congressional Republicans. 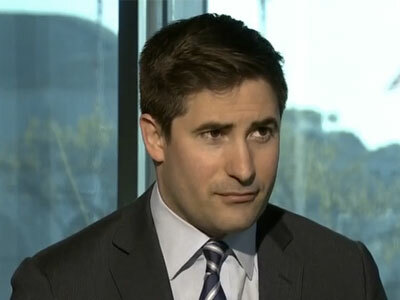 Axios, the Jim VandeHei/Mike Allen venture that just debuted its name and manifesto this week, adds Jonathan Swan to its expanding staff roster as a national political correspondent covering Donald Trump and Congressional Republicans. He joins from The Hill, where he has been a national political reporter. Swan’s role at Axios will be similar to the work he had been doing recently in covering the transition and preparing to cover the next administration, which, as he describes it to us, is “looking for ways of explaining what’s happening now in Washington, the new guard that’s coming in, understanding how people like Steve Bannon and the populist nationalist movement that surrounds Trump is going to change Washington, D.C., and also seeing how that collides with the establishment, the old guard, Republicans on the Hill. “I think it’s going to be a fascinating time for Republican politicians in Washington and I’m really excited to cover it with these guys,” he adds. But for the reporter who left Australia two years ago to cover American politics during one of the strangest, most contentious, bizarre elections in U.S. history, his departure from The Hill is bittersweet. “Bob Cusack had the, frankly, chutzpah, to hire someone who had never covered American politics before, and I think that speaks very highly to Bob. I just feel hugely grateful to The Hill and Jimmy Finkelstein and Bob Cusack,” he says. That outsider view of American politics Swan came in with when he joined The Hill cuts both ways. Yes, he had to “build a contact book from scratch,” and no, he didn’t have that ingrained sense of the system Americans have–in theory, at least–from their schooling and time in the country, but, he says, “I think when you really have had a political earthquake this year and so many people applying the same models that have been used to think about political leaders for the last twenty years, I think in that sense it probably has been a bit of an advantage,” he says. And now that nobody knows how a Trump administration will or won’t hew to the practices of administrations past, Swan is probably coming at this on similar footing with the political reporting vets.